Catalogue of an exhibition held 18 May-14 August 1989 at the Centre Pompidou and La Grande Halle-La Villette, curated by Jean-Hubert Martin with the assistance of Jan Debbaut, Mark Francis, Jean-Louis Maubant, Aline Luque, André Magnin and Jacques Soulillou. 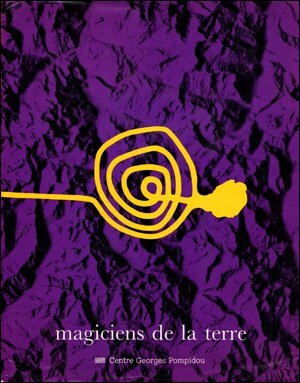 With essays by Jean-Hubert Martin, Aline Luque, Mark Francis, André Magnin, Pierre Gaudibert, Thomas McEvilley, Homi Bhabha, Jacques Soulillou, Bernard Marcadé. Reviews: 10 French press reviews (1989), more, list of reviews (1989, 30 pp). Analysis and commentary: Special issue of Third Text (1989, EN), Thomas McEvilley (1990, EN), Cesare Poppi (engage, 2003, EN), Hal Foster et al (2004/07, EN), Daniel Soutif (2005, FR), Reesa Greenberg (Art Journal, 2005, EN), Maureen Murphy (Critique d’art, 2013, FR/EN), Pablo Lafuente (2013, EN), Annie Cohen-Solal (Stedelijk Studies, 2014, EN), Adam Jasper (AU&NZ Journal of Art, 2014, EN), Julia Friedel (C&, 2016, EN). “The digital turn might as well be marked as an Asian turn. From flash-mobs in Taiwan to feminist mobilisations in India, from hybrid media strategies of Syrian activists to cultural protests in Thailand, we see the emergence of political acts that transform the citizen from being a beneficiary of change to becoming an agent of change. In co-shaping these changes, what the digital shall be used for, and what its consequences will be, are both up for speculation and negotiation. 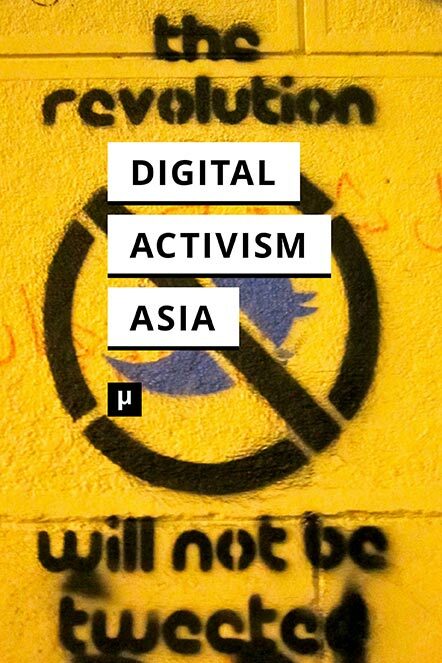 Digital Activism in Asia marks a particular shift where these questions are no longer being refracted through the ICT4D logic, or the West’s attempts to save Asia from itself, but shaped by multiplicity, unevenness, and urgencies of digital sites and users in Asia. 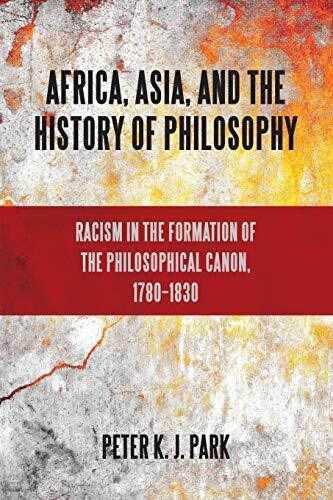 “A historical investigation of the exclusion of Africa and Asia from modern histories of philosophy. In this provocative historiography, Peter K. J. Park provides a penetrating account of a crucial period in the development of philosophy as an academic discipline. During these decades, a number of European philosophers influenced by Immanuel Kant began to formulate the history of philosophy as a march of progress from the Greeks to Kant—a genealogy that supplanted existing accounts beginning in Egypt or Western Asia and at a time when European interest in Sanskrit and Persian literature was flourishing. Not without debate, these traditions were ultimately deemed outside the scope of philosophy and relegated to the study of religion. Park uncovers this debate and recounts the development of an exclusionary canon of philosophy in the decades of the late eighteenth and early nineteenth centuries. To what extent was this exclusion of Africa and Asia a result of the scientization of philosophy? To what extent was it a result of racism?